Has Airbnb peaked in the U.S. and Europe? A new report from Morgan Stanley seems to suggest as much. In the company’s third annual AlphaWise survey of more than 4,000 adult consumers in the U.S., UK, France, and Germany, it found that Airbnb adoption in the U.S. and Europe is slowing. The percentage of travelers who used Airbnb during the 12 months up to October 2017 increased to 25 percent, up 330 basis points. By contrast, in last year’s survey, that increase was up 800 basis points. 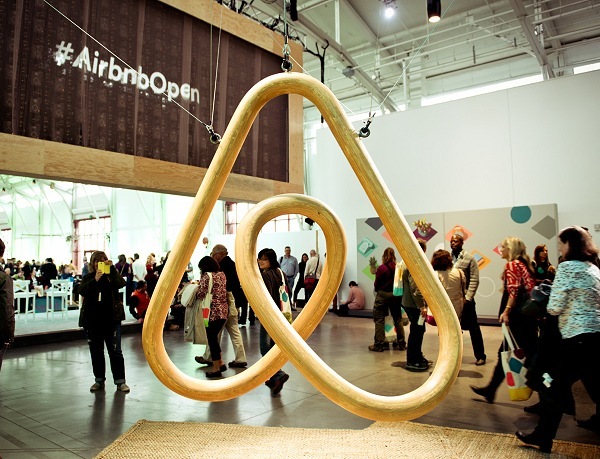 Awareness of Airbnb is at an all-time high, the report argues. Morgan Stanley’s analysts suggested two reasons for the slowing usage rates. One is that Airbnb may simply be too big, or that it’s become so mainstream that it’s harder for the company to grow as it used to. The survey noted an 80 percent awareness among travelers. In 2016, awareness levels were 72 percent. But if awareness of Airbnb is so high, why aren’t more U.S. and European travelers using it even more than before? That’s a bigger challenge for Airbnb to consider: Have alternative accommodations gotten too mainstream? Or is it still too niche for the market overall? More travelers are citing privacy and security as reasons why they may not stay in an Airbnb. Another reason for the slowing adoption rate, analysts suggested, may have to do with the fact that privacy and safety “are material and growing barriers to adoption.” More respondents in 2017, 14 percent more than in 2016, cited privacy and safety factors as reasons why they did not use Airbnb in the past 12 months. Because of slower adoption rates for Airbnb in the U.S. and Europe, Morgan Stanley lowered its expectations for its forward user/room night forecast to 12 percent versus 29 percent in 2016. The company also expects Airbnb to grow to 6 percent of lodging demand across these regions by 2020, compared to 9 percent as was estimated last year. Overall, Morgan Stanley expects Airbnb will generate approximately 155 million room nights in 2018 in the U.S. and Europe, an increase of 14 percent over 2017. Morgan Stanley’s report had some good news for the hotel industry. Because adoption of Airbnb in the U.S. and Europe is slowing, analysts believe “Airbnb is less of a threat to hotels” — but it’s still a threat. The survey showed that 51 percent of Airbnb users replaced stays at traditional hotels with an Airbnb stay, up 160 basis points from 49 percent in 2016. This number is expected to grow to 54 percent in the next 12 months. Morgan Stanley also noted that the replacement of extended stay hotels grew 600 basis points to 32 percent in 2017, after dropping 300 basis points from 2015 to 2016. That seems to suggest that extended stay hotels are losing out on market share to Airbnb. Airbnb’s impact on hotels’ ability to have more pricing power during compression nights, or high-demand periods, is still a relevant factor, too, Morgan Stanley noted. It also doesn’t help that many major U.S. markets, such as New York, are seeing a big increase in hotel supply. To read more at Skift, click here.